Mid-morning cognac tasting is not something I do every day but when Maurice-Richard Hennessy is in town to present a selection of Hennessy cognacs I am prepared to abandon my ‘elevenses’ for a drop of eau de vie. 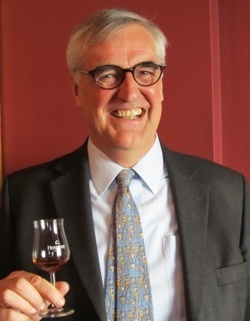 He is a direct descendant of Richard Hennessy who departed these shores for France in the 18th century and there must still be a trickle of Irish blood in his veins, for he can talk at impressive length on the subject of cognac, only pausing for the odd sip. 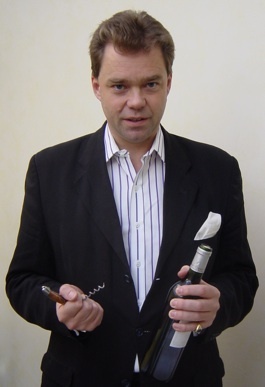 I had previously met him in Dublin over 10 years ago when he was launching a new range of single distillery cognacs, including one evocatively name Camp Romain, though these have now disappeared from view. 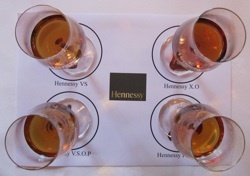 This time he concentrated on four from the mainstream: Hennessy VS, VSOP, X.O and Paradis. They are best considered in pairs. The VS (€27.99) and the VSOP (45.39) are both widely available and my advice would be to trade up to the latter if at all possible. The VS has some initial sweetness but finishes hot and spicy whereas the VSOP is richer and fuller on the nose, fatter and rounder on the palate. A satisfying glow lingers nicely on the finish. The second pair is to be indulged in only when the Lotto has been won or fairy godmother is paying. Both are available in specialist independent shops. The X.O (€111.99) is reserved and elegant with restrained sweetness and pronounced spice, complimented by creamy length on the finish. 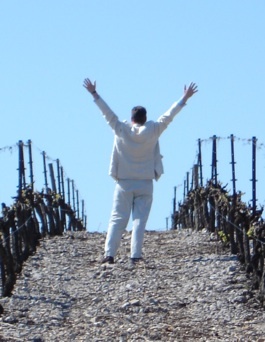 The Paradis (€352.99 – why not €350?) is notable firstly for its satin texture and freshness, and then for a flavour that unfolds beautifully, delivering up all sorts of components: caramelised orange, gentle spice and smoke, cream and vanilla. Buy that lottery ticket now!